If you would like to work in law enforcement, you may want to learn how to become a border patrol agent so that you can start a career with a public agency that has a growing demand. Border patrol agents are highly trained professionals who are responsible for patrolling the nation’s borders to prevent illegal trafficking, counter terrorism attacks and keep people within the country safe. Ever since the devastating terrorist attacks in 2001, the U.S. Customs and Border Protection agency within the Department of Homeland Security, more and more agents are being hired and trained. Before you will be considered a qualified candidate, you need to pass certain tests and examinations. Read on, and find out just what you will need to do following high school to work for the Department of Homeland Security. All applicants must be a U.S. Citizen under the age of 37 and possess a valid driver license. The department also requires that all applicants have a high school diploma and professional work experience that can be listed on the electronic application for review as proof that the applicant is able to take charge and make decisions. While it is not a requirement that applicants can speak Spanish, those who do not will be required to pass additional training before they will be assigned to a territory. As long as you meet these minimum requirements, you will be asked to test and go through the stages of the pre-employment process. If you meet the basic qualifications and you do not currently work for the government, you must prove that you are competency by taking a Logical Reasoning Test and an Entrance Examination. Each of these will see if you have the inherent skills and the appropriate level of knowledge to comprehend content that will be covered in training. When your application is received, you will be send a date for your test if the recruiters would like to proceed. Once you complete the entrance exam stage, the next step will be to complete a structured interview with federal recruiters. During this stage, you will be interviewed in person and asked a set of questions on how you would react in hypothetical situations. If you pass this step with a passing score, you will receive notification by email and will move on to scheduling your medical examination. You will also need to take a pre-employment physical fitness tests that shows that you have endurance and are able to keep up with your duties. You will then be scheduled for a polygraph exam, a background investigation, and a drug test to ensure you are a good fit. If you do not yet have professional experience, you should start by looking for entry-level opportunities where you can become an authoritative person and follow direction while making decisions on the fly. You can work in security or other code enforcement roles to get the experience that you need. It can also be helpful to get a formal associate’s or bachelor’s degree in criminal justice or a related area of studies. 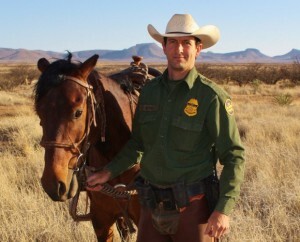 Now that you know how to become a border patrol agent, you can decide if it is the right time to apply.